I'm starting to have a serious problem where every time I close my eyes I see myself getting hurt or I see myself dying. I don't have to be sleeping to dream this I sometimes daydream it. I either see myself getting hit by a train, falling down the stairs and paralyzing myself, getting murdered in some way or another, etc. They are all very bad injuries and it happens all the time, ten times a day. I try not to think about stuff like that but the minute I start dreaming or thinking of something else, something bad still happens. At first I didn't think much of this, just shrugged it off, but now it's happening so often and it's starting to worry me. Do you know why I dream this? Depending on who you ask this question to, you will get different answers. Could be some other fear that is unconscious in you, and is taking the form of these thoughts of death and dying. Another explanation might be that you are remembering past lives (past deaths). If you believe in reincarnation, there's a lot compelling evidence that some people spontaneously remember past life scenarios. Rather than fear this, I would suggest taking it as an opportunity to heal something deep inside you. Your subconscious is giving you these images for a reason. 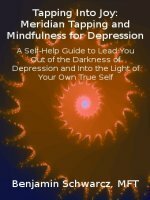 The first thing I'd recommend is to try Meridian Tapping/EFT. It doesn't matter if you look at these images as real or symbolic, you can still tap about it. I have a chapter in my book about Tapping using dream images. During the process of tapping, if you let your mind wander and let the words come spontaneously, you may find that new information comes into your consciousness; Or you may just find that the images fade away, never to return. Either way, it could be quite helpful. Therapy could be very helpful too, if you choose a therapist who is compatible with your belief system.